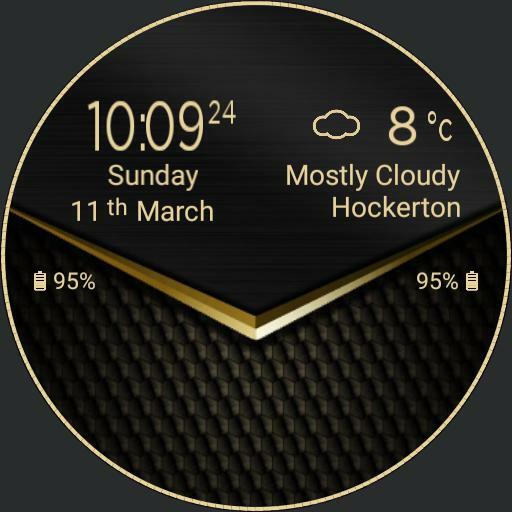 I designed this to compliment a gold black phone theme, using the backgound of the watch as a wallpaper on the phone. The digital watch design is a rough copy of the Android weather widget just in case you couldnt guess. If you prefer analogue touch the centre of the watch. Feel free to edit for yourself but please credit me as the creator.